TIPS TO IMPROVE CRITICAL THINKING IN ARTS EDUCATION – Ruth Catchen Reach for the Stars! Arts education is not arts and crafts. Arts and crafts may have a benefit for many–very useful for social/emotional wellness and special education, and fun too. Arts education is not learning lines or music by rote and performing it totally detached from what you are doing. It’s not tracing or copying a drawing or making things out of pipe cleaners. Draw what you see. Paint the vase of flowers. Copy my picture. Sing this. Repeat after me. Let’s make a macaroni picture. Play it like this. Don’t ask why, it goes that way. Arts education is not being a robot. Arts education, according to Wikipedia( I know, not the most scholarly, but OK for this purpose), encompasses all the visual and performing arts delivered in a standards-based, sequential approach by a qualified instructor as part of the core curriculum. Its core is the study of inseparable artistic and aesthetic experience and learning. 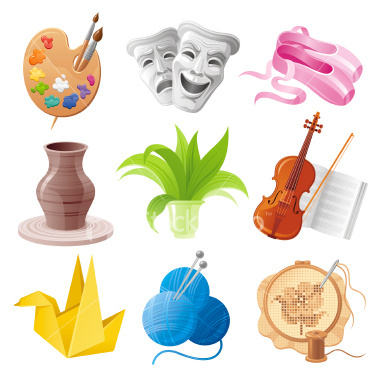 It can include music, dance, drama, theatre, culinary arts and visual art such as painting, sculpture, printmaking, pottery, design, clothing, photography, computer graphics, and film making. So where am I going with this? Arts education is often about performance; it is to do something or to make something, and perhaps interpret the works of others and express their feelings. Using critical thinking techniques and questions may have no immediate relationship to the subject matter as performance. Opportunities for enhancing critical thinking can be used in addition to performing and visual arts. I can ask a chorus inquiry questions about the meaning of the music, its history, the culture of the world when it was written. I want them to be thinking people who wish to express themselves, not robots who wish to reflect the expressions of others. Let’s define what critical thinking is. It is a an approach to student centered learning that allows the students to relate information to their own life and already existing knowledge. They can analyze new information, evaluate and process it, and then apply it to something new, or their own life situation. What do you think Picasso was talking about? How were you artistic when you were younger that you aren’t now? All of the answers will relate to the student and their knowledge and experience directly. What was President Kennedy talking about? What does that mean to you and how can you apply it to your life? How can we apply that to our society? How do you think those words affected the history that we now know and understand? Will those words affect the future? Does it affect your future? Does it affect the future of anyone that you know? How does this affect your ability to understand your own goals and artistic expression? ~ Ask questions and lots of them. ~Let the answers stimulate more questions. ~ Ask a knowledge based question and the expand from there to questions that ask students to use what they have learned and apply knowledge or make inferences. Have no right or wrong answer and may prompt other avenues of discussion. Ask to synthesize information and APPLY WHAT YOU KNOW to a new scenario. Demonstrate an understanding of how multiple pieces fit together. May have a deeper meaning. Relevant to the students’ lives in the future. ~ Discuss how the subject may be relevant at home or in other aspects of their lives. ~ Discuss how this subject relates to other academic subjects and how it is used in other subjects. ~ Step back and let the student be responsible for his own learning. Don’t be a knowledge fountain. Teachers must use their words selectively – don’t talk too much. 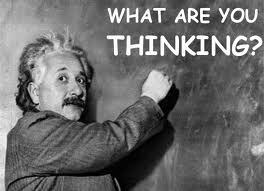 ~ Critical thinking can relate to high stakes standardized testing. Take the content knowledge and have students evaluate and analyze it. DO research. ~ Model what you want them to do and HOW TO THINK. ~ Allow for differences of opinion and encourage discussion. Students will learn from each other and get to know each other. ~ Be sure to have students validate their information. Use research tools and Socratic discussions. Challenge each other. ~ Use writing as a tool for evaluation to assess what students have learned. ~ Use self-evaluation and peer evaluation (through teacher provided rubric) as learning tools. A few more words about Tests. . . The standardized tests themselves ask straight forward questions for the most part. Currently, there is little use of critical thinking. It is good for students to be able to reason. If they cannot remember a fact, perhaps they can use reasoning abilities and get the right answer. Tests will evolve to something better, I believe they have to. 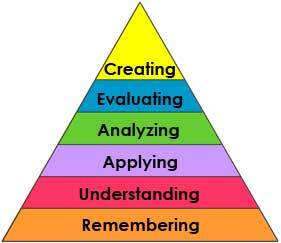 Students must understand that critical thinking and lifelong learning is not just memorizing a bunch of facts. The facts must relate to a deeper meaning. They must use the facts to do something larger. Why do we have three branches of government? What are their purpose? What would it be like if we didn’t? What is successful about this type of government? What does not work so well? I know the Arts do not have high stakes testing. 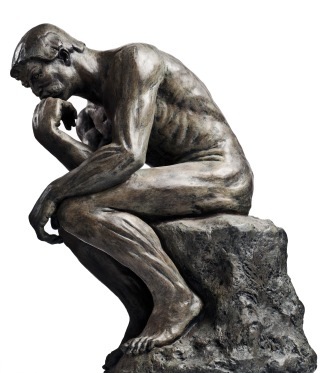 If we ask critical thinking questions about things such as the meaning or style of Mozart’s music, the expression in a Van Gogh Painting, and how past culture relates to life today, students can learn to make these associations. In art class, they can build, design and question why to do things a certain way. It expands the mind and the realm of possibilities. Critical thinking stimulates the imagination. Not only should students learn to imagine, but also they should learn to follow through. Dreaming the ridiculous has no purpose. Dreaming with the intention of making reality does. Creativity is only real if it can be realized.